A winner... and a mystery! Congratulations, Janet! Expect an email from me, asking for your mailing address. Now to today's MMGMM. Yes, there's an extra M in there, for mystery. 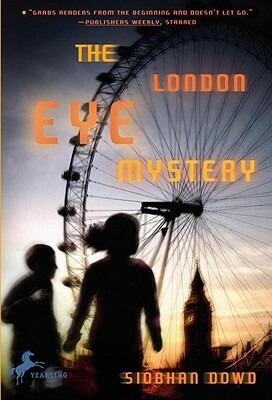 The London Eye Mystery by Siobhan Dowd (Yearling/Random House paperback published 2009, for ages 8 to 12). Synopsis (from Indiebound): Ted and Kat watched their cousin Salim board the London Eye, but after half an hour it landed and everyone trooped off—except Salim. Where could he have gone? How on earth could he have disappeared into thin air? Ted and his older sister, Kat, become sleuthing partners, since the police are having no luck. Despite their prickly relationship, they overcome their differences to follow a trail of clues across London in a desperate bid to find their cousin. And ultimately it comes down to Ted, whose brain works in its own very unique way, to find the key to the mystery. Why I liked it: Oh, without a doubt the character of Ted! He wants to be a meteorologist when he grows up, so he's obsessed with weather forecasts. His autism is never defined, but he nonetheless works out puzzles in his head, counts his breakfast cereal Shreddies as he eats them, and doesn't like to be hugged. Dowd, who sadly died of cancer in 2007 at the age of 47, makes Ted both likable and memorable. Ted tells the story in first person and London comes to life through his eyes. The mystery kept me guessing, and I also liked the way Ted and his sister grow closer together while they try to figure out what happened to Salim. What middle grade mysteries have you read lately? For more MMGM posts, see Shannon Messenger's links or my sidebar. Exclusive interview with Kirby Larson, author of HATTIE EVER AFTER -- and a giveaway! Hattie Ever After, a sequel to the Newbery-honor winning Hattie Big Sky by Kirby Larson, pubs tomorrow, and I'm thrilled to be hosting Kirby for an exclusive interview. Don't forget the giveaway at the end of the post. Synopsis (from the publisher): After leaving Uncle Chester's homestead claim, orphan Hattie Brooks throws a lasso around a new dream, even bigger than the Montana sky. She wants to be a big-city reporter. A letter and love token from Uncle Chester's old flame in San Francisco fuels that desire and Hattie jumps at the opportunity to get there by working as a seamstress for a traveling acting troupe. This could be her chance to solve the mystery of her "scoundrel" uncle and, in the process, help her learn more about herself. But Hattie must first tell Charlie that she will not join him in Seattle. Even though her heart approves of Charlie's plan for their marriage, her mind fears that saying yes to him would be saying no to herself. Why I liked it: This novel is bursting with historical flavor, so if you're a fan of historical fiction, you'll definitely want to read this. I learned a lot about the time period. 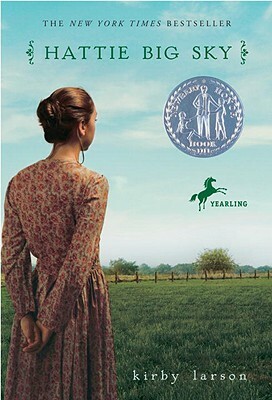 And even if you're not into historical fiction, read it for Hattie herself. She's wonderful -- a strong female character full of life and sass and gumption.You'll find yourself cheering her on as if she's a real person. You could read this without reading Hattie Big Sky, but it definitely helps to be familiar with the first book. And although it's considered YA and it's all about careers and marriage, there is absolutely nothing too mature about the book. I suspect it's the kind of novel I would have cherished when I was 11 or 12. Hi Kirby! Welcome to My Brain on Books! In your author note you state that when you wrote Hattie Big Sky, you had no intention of continuing her story. I'm so glad you changed your mind. Can you tell us about the seeds that grew into Hattie Ever After and how much influence your reader fans had on the decision? I am a firstborn and am very much into following the rules and keeping other people happy. So, even though I thought I had completed Hattie's story, when I kept hearing from readers, I felt compelled to pay attention. And, honestly, who wouldn't like spending a little more time with such a spunky and stubborn orphan? But I knew that if I were to take on a sequel, I couldn't simply do another version of the homestead story. I would need to find something completely different. I was sure Hattie was going to go on a road trip, but she had other ideas. After fighting with her for some time, I finally got the picture: she wanted to be a writer. I certainly knew about that dream! Once that fell into place, so many other things did, too. I think when we completely give ourselves over to a book -- a terrifying experience!-- we will be given what we need to tell the story. At least, that is how it seems to happen for me. I love it when a character takes over! Please tell us a little about your journey to publication. Was Hattie Big Sky the first novel you ever wrote? How long did it take you to find an agent? And how much time passed before you signed your first publishing contract? [chuckling] First novel? Um, HBS was perhaps my fifth. But, it was my first effort at historical fiction. My first published book, a chapter book, came out in 1994; then I had four more books published, including two ghost written series books. Beginning in 1997, I contracted submission pox -- everything I submitted for the next seven years was rejected. I was ready to pitch it all in and go to work as a Starbucks' barista. Or maybe a Walmart greeter. Then, through a sad and wonderful set of circumstances, I was led to my great-grandmother's story of homesteading in eastern Montana as a young woman and spent four years researching and writing Hattie Big Sky. When the manuscript was ready to submit, I sent it to half a dozen editors--one of whom called me ten days after receiving it to say she wanted to publish it. Though I had had agents (two) earlier in my career, HBS was unsolicited/agentless. After the book won the Newbery Honor, I was introduced to Jennifer Holm's agent, Jill Grinberg, and the rest, as they say, was history. That's quite a journey. How amazing that Hattie Big Sky was agentless! You used to teach writing classes. What advice can you give us on revising a rough draft? First, celebrate the fact that you have completed a first draft. Most people never make it that far! Have you adequately celebrated? Really? Was there chocolate involved? Okay. Now you can move on. I'd say the first thing to do is find a trusted reader. Mine is my picture book co-author, Mary Nethery, who has earned several jewels in her heavenly crown for nudging me to actually include a plot in my novels. Respond to the concerns of that trusted reader (e.g. in my case, add a plot). Then, scout the manuscript for narrative chunks: such chunks probably indicate telling, rather than scene-building. Convert those sections to scenes and you're most of the way there! Don't forget to take a look at motivation: yes, you need John and Jenny to have a spat in Chapter Four. But why are they having that spat? And does the spat grow organically out of the preceding action? Finally, read EVERY SINGLE WORD aloud. That will save you from all kinds of clunkers and faux pas. Ah, yes, I did celebrate with chocolate when I finished my first draft, thank you! And thank you for the rest of this great advice too. Do you listen to music while you write? Do you have a theme song that best fits Hattie Ever After? Good lord, no. I have to have it very quiet while I write. Theme song? I think Etta James' version of At Last fits almost any situation! Other than music, what's your writing process like? Are you an early morning writer or an evening writer? Do you write in your PJ's? Drink gallons of coffee? Do you chain yourself to a writing desk or take your laptop and spread out on the couch? I'm an all-day writer because this is my job. In fact, both my husband and I office at home, so are a trifle workaholic. We have resolved for 2013 to quit work earlier a couple of times a week and have some non-writing or acounting kind of fun. Two nights ago we went to the Seattle Opera. The week before that, it was a date to see Silver Linings Playbook. Next week, it's a tour of the newly relocated Seattle Museum of History and Industry. As the result of an unfortunate event that occurred when our son was in elementary band, I do not write in my PJs (long story). I get up around 6:30 or 7 and have a cup of coffee and do the NY Times crossword puzzle (on Mondays, I feel like the smartest person in the world!). Then I walk Winston the Wonder Dog and we come back and have breakfast (he eats a bit of kibble with a home-cooked patty of turkey and veggies; I often eat a poached egg and toast). Then we are in my office by no later than 9. I write all day (breaking for lunch and that very important afternoon constitutional for Winston). I now use a Mac mini hooked up to a big monitor so I am pretty much chained to my office. But I do have an iPad so sometimes go to my local coffee shop to play around. I especially like to print out my manuscripts and take those to a coffee shop to work on revisions. You're so good at writing historical fiction (the Hattie novels, The Friendship Doll and even a Dear America book!). Will your next book also be that genre? Or will you go back to nonfiction picture books like Nubs or The Two Bobbies? Which is your favorite to write: picture books or novels? [Thank you for that lovely compliment; I do work very hard on my historical fiction.] Mary and I are dying to find a third narrative non-fiction book together, along the lines of Two Bobbies and Nubs. So I am hoping a book like that is in the not-too-distant future. As for my individual work: I am totally and passionately in love with historical fiction. My next three books will be in that genre, for sure. After that -- who knows? As far as which is my favorite genre: such a thing doesn't exist. It's the story, not the genre, that counts. Thanks so much for taking the time to answer my questions. And congratulations on tomorrow's release of Hattie Ever After! Thank you so much for taking the time to come up with such thoughtful questions! I really appreciate your support and encouragement of my work. Readers, to celebrate Kirby Larson's book launch tomorrow, I'm giving away a package that includes my ARC of Hattie Ever After and a paperback of Hattie Big Sky (in case you haven't read it). To enter, simply be a follower and leave a comment on this post. This giveaway is open internationally and will end at 10 pm EST on Saturday February 23, 2013. Winner to be determined by random.org and will be announced on Monday, February 25. Good luck! 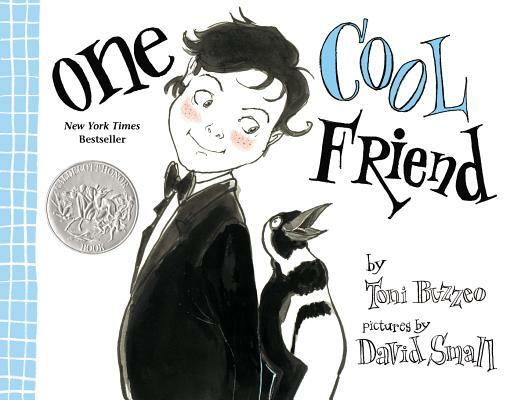 Do you buy picture books for yourself? As an adult, have you ever purchased a picture book for yourself? Or as a gift for another adult? Hop on over to Random Acts of Reading where this month, the book blogger panel discusses picture books that aren't just for kids. 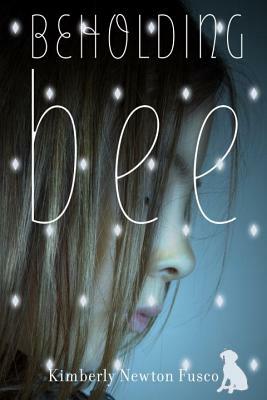 Come visit me over at Random Acts of Reading, where I'm a guest blogger today, discussing a new book that I love. I bet it would delight you too.